While DC and Marvel are doing everything in their power to differentiate their cinematic universes, Grant Gustin (a.k.a The Flash) and Rosario Dawson (a.k.a. Daredevil’s Night Nurse) are bravely crossing party lines under the auspices of former Mystery Man William H. Macy. Or, in non-superhero terms, Gustin has just been cast in Krystal, an indie comedy directed by Macy that features Dawson in the title role. The news comes from Deadline, which also reports Felicity Huffman, Kathy Bates, Jurassic World’s Nick Robinson, and Macy himself are set to star. 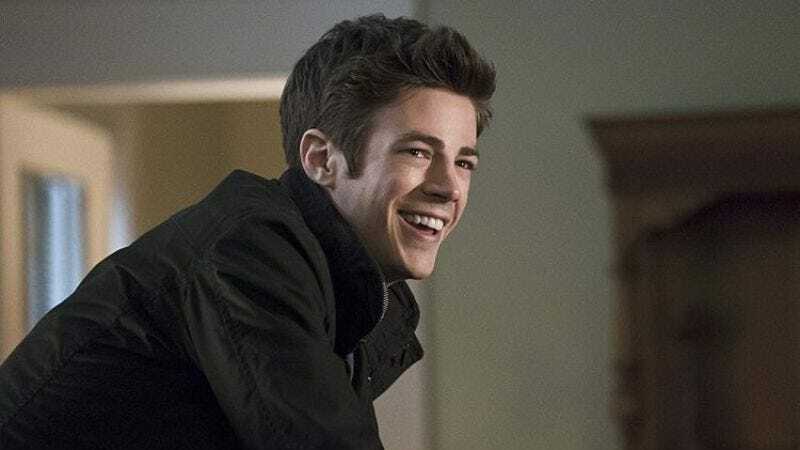 There aren’t any details available on Krystal’s plot yet, but Macy has previously described it as, “A bust-out, slamming door farce comedy.” Given that The Flash can get a bit farcical at times, Gustin seems like a natural fit. Interestingly, however, this is only his second ever film role. He previously appeared in the 2014 indie drama Affluenza, a teen-centric riff on The Great Gatsby, which our review called “a monumentally stupid idea.” Krystal’s impressive pedigree will hopefully result in a slightly more successful final product for Gustin to add to his resume.